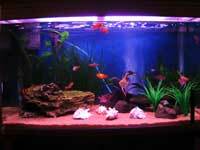 4 bleeding heart tetras, 2 angel fish, 5 zebra danios, 5 sunset plattys, 1 peppered cory cat, 3 petricola cats, 1 red tail shark. 6 tiger barbs of each species, catfish, 4 rosies, 3 small plecos. About 50 mollies for breeding. 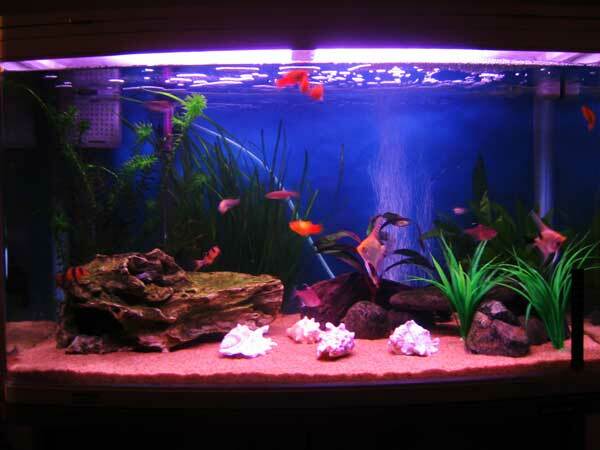 I'm hoping to get a saltwater tank for christmas.